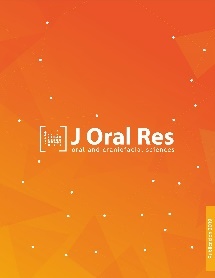 First issue of the year 2019, encompassing thirteen articles in which a set of diverse issues are addressed, ranging from material science, to morphology and physiology, microbiology, education in dentistry, and pediatric dentistry. Mechanical retention: an important factor for the bond strength of glass fiber posts. Statins in Dentistry: Game Changer or Questionable Saga? Dental arch width in overweight and normal-weight subjects. Socio-educational factors associated to perception of research among stomatology students in a Cuban university. A perspective of marginal microleakage in class II composite resin restorations using different types and techniques: an in-vitro study. Prevalence of methicillin resistant Staphylococcus aureus isolated from saliva samples of patients with oral squamous cell carcinoma. Association between malocclusion severity and psychosocial issues among adolescents. Parafunctional oral habits and primary dentition characteristics in a group of preschool children from Tlaquepaque, Jalisco, Mexico. Correlation between masseter muscle activity and maximum bite force among various facial divergence pattern. Prevalence of impacted mandibular third molars and its association with distal caries in mandibular second molars using cone beam computed tomography. Quality of life during pregnancy and its influence on oral health: a systematic review. Anatomical and clinical significance of Pterygospinous and Pterygoalar ligaments and bony bars in dentistry.